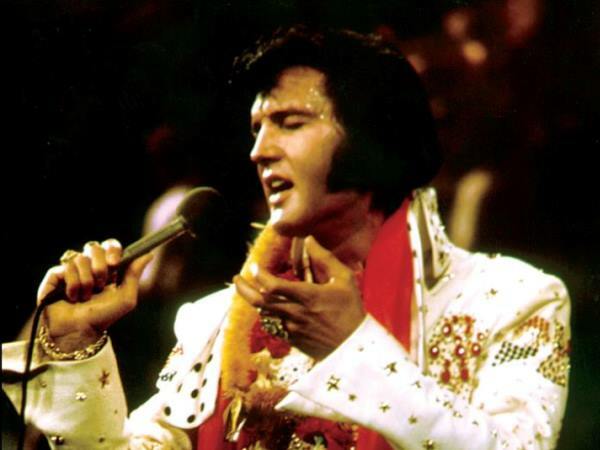 It’s been 36 years – to the day – since the King of Rock ’n Roll left the building. Elvis had a stillborn identical twin brother, Jessie. One of his great-great-great-grandmothers was Cherokee (Native American). Elvis sang in a youth talent contest at the Mississippi-Alabama Fair and Dairy Show when he was 10 years old, and only came fifth. He got his first guitar for his 11th birthday. He desperately wanted a bicycle, but his parents couldn’t afford one. His father, Vernon, spent eight months in jail for altering a cheque. After high school, Elvis worked driving a truck for Crown Electric Company, and began taking courses to become an electrician. After a show in Jacksonville, Florida, in the US he was threatened with arrest by a juvenile court judge for gyrating. The judge told Elvis he’d only allow side-to-side movements for the rest of his shows there. He once did psychedelic drug LSD with the Beatles, in the hope of discovering his “inner light”. Elvis’ favourite sandwich was (apparently) peanut butter, bacon, banana and honey. He recorded 15 songs that had the word “blue” in their title. He once took a gun to the White House. When he met with former US president Richard Nixon, Elvis, who was gun-obsessed, brought along a WWII vintage handgun as a gift for Nixon. He was buried twice. His body was moved after some men tried to steal it a few months after his death.